Low Carb Peanut Butter Fudge — Creamy, Easy + AMAZING! 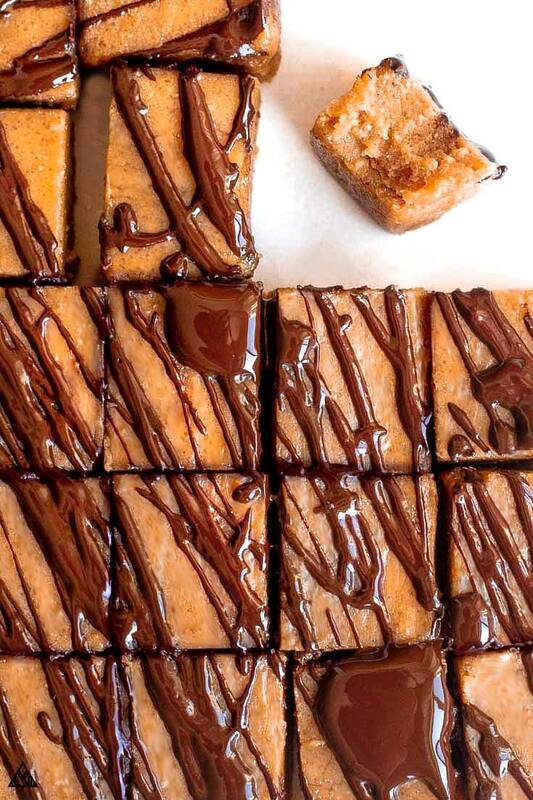 If someone were to ask me my favorite food in the entire world, I would say this low carb peanut butter fudge. Which I know, makes me sounds crazy. And I know, may seem unbelievable because it’s one of those “low carb recipes”, or a selling technique to get you to try this recipe. But it’s not. And I’m serious. I didn’t even know how much I liked fudge until I cut myself a slice of this! 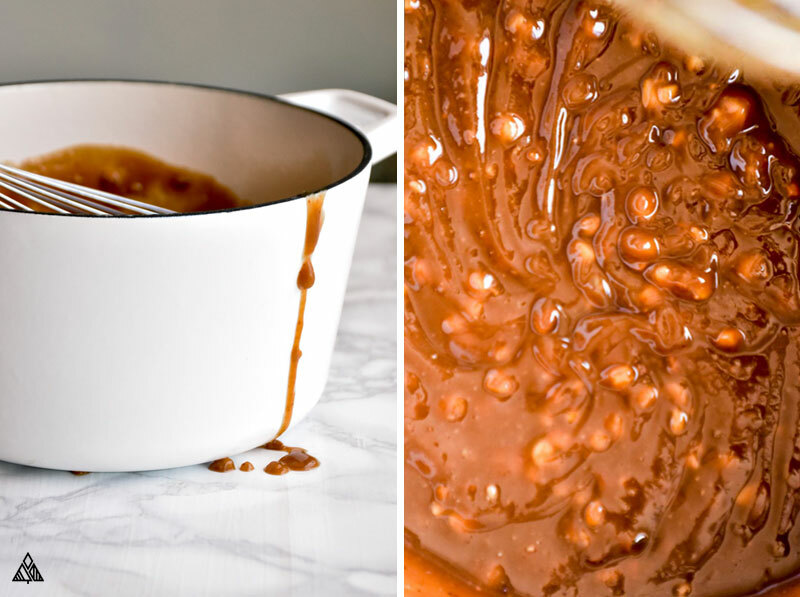 Perfectly sweetened peanut butter with a consistency as fudge-like as any traditional recipe. This stuff is where it’s at, and I can’t even wait to hear what you think about it! As you know, a slice of your favorite not so low carb fudge from Grandma is packed with sugar. I know, I was so surprised to learn there are carbs in milk too! Thankfully there are ton of low carb milk substitutes we can use, including heavy cream. A little extra cream-y texture and a lot less carbs, I’ll take it! Is peanut butter high in carbohydrates? Not all peanut butters are low in carbs, as many brands add sugar to the product to sweeten it up. If you’re looking for a low carb peanut butter, read the labels carefully. I buy peanut butters made of peanuts and maybe salt or a little oil. Pst, if you’re looking for more low carb peanut butter recipes, then check back soon! I’m working up keto peanut butter recipes for days—low carb peanut butter cups, low carb peanut butter balls and low carb peanut butter cookies! Anyway, back to the fudge. What’s fudge without a little something sweet in it? Wow, this ingredient, just wow. When I first started eating low carb, the only sugar alternatives in my arsenal were aspartame (no thank you) and stevia (not my favorite). I’d heard of people making sugar free peanut butter fudge recipe Splenda based, but this wasn’t an option for me. I thought making a sugar free fudge was an impossible feat and sticking to a low carb food list meant my sweet tooth would live a sad and lonely life. The best powdered sugar substitute on the planet: Swerve Confectioners Sugar. It’s made from erythritol—a sugar alcohol that, get this, doesn’t upset your stomach! It’s hard to find in stores, so I usually purchase a big ole bag from Amazon. Can’t wait to hear what you think! When testing out this recipe, I tried tossing in some vanilla flavored low carb protein powder to balance out the high fat content of this fudge. I found that adding ¼ cup to the recipe didn’t change the texture at all. If you’re using a sweetened protein powder (instead of unflavored whey protein powder), skip the vanilla and add ¼ cup less sweetener. I like the addition of protein powder, but think it’s only necessary if you’d like to add protein. I’d recommend using an unflavored whey protein powder, as the sweetener in flavored powder may detract from the deliciousness of the low carb peanut butter fudge! 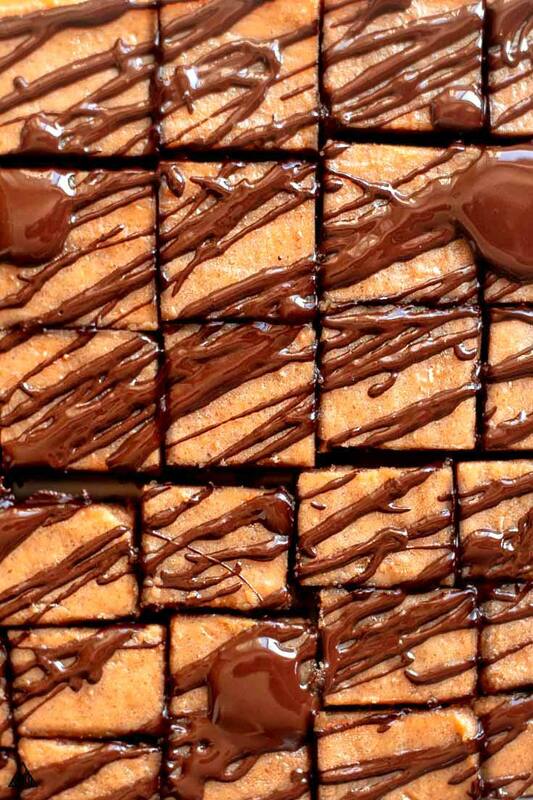 If you’re like me, a little crunch is necessary in any good fudge recipe. Here’s where I admit that I use crunchy peanut butter in this recipe. Another option is to top your low carb peanut butter fudge with some chopped low carb nuts! Peanuts are a great choice, as are pecans or walnuts. Oh ya, you read that right, low carb chocolate is a thing. And it’s delicious! If I top this low carb peanut butter fudge with anything, it’s shavings of my low carb chocolate bars. Because who doesn’t love the peanut butter-chocolate combo?? I’ve received many requests for cream cheese fudge, so I feel I must be honest with you and tell you that low carb fudge recipe cream cheese is not something that would pass these lips! Please don’t hate me! Low carb cream cheese fudge is such a popular option because guess what crew?? There are hardly any carbs in cheese, and cream cheese is about as low carb cheese as they come! Plus it adds a nice amount of fat and a creamy consistency. 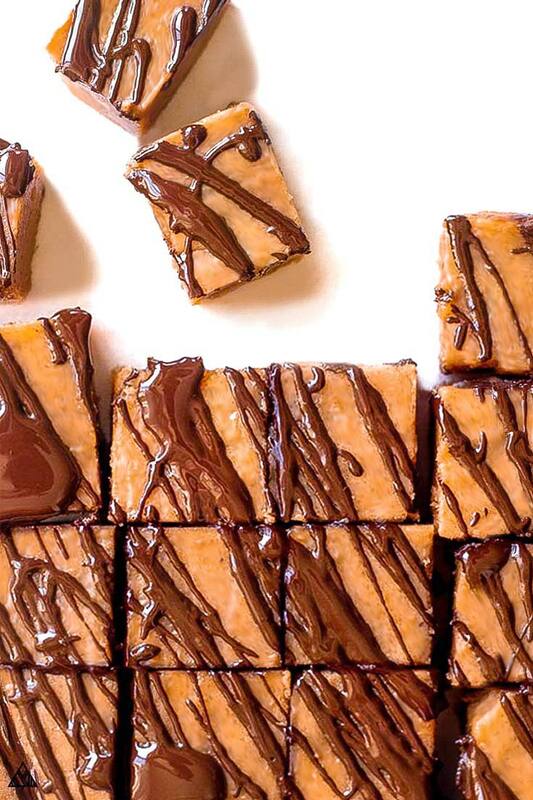 Low carb cream cheese peanut butter fudge anyone? 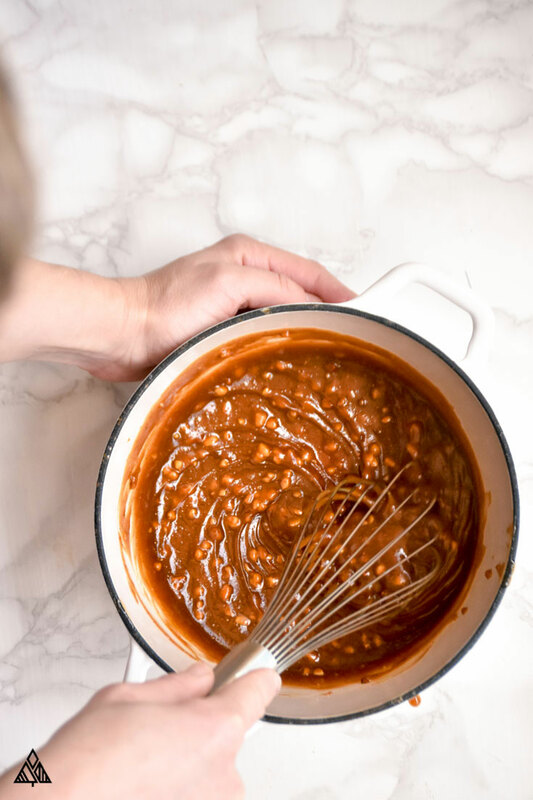 If you’re more of a chocolate-kinda-gal (or guy), have no fear, my low carb chocolate fudge recipe is here—although, I’m thinking my next recipe should be a combo of these two: swirled low carb chocolate peanut butter fudge, what do you think?? Because I know you’re wondering how you’re ever going to stop sneak snacking on this keto fudge, I thought I’d share with you how I store this. The goal is to make it slightly less accessible than it is in the fridge! 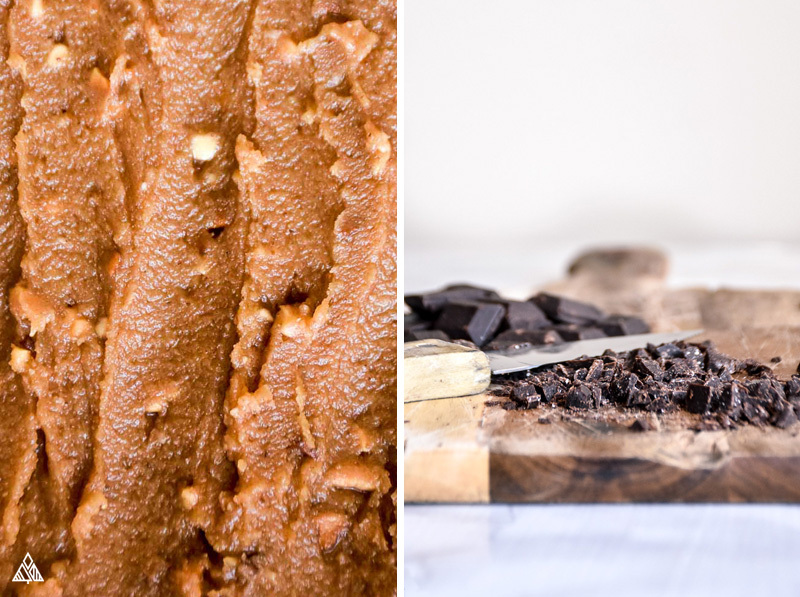 It’s hard to devour when frozen, and you won’t have to worry about your beloved low carb peanut butter fudge going to waste! To do this, I allow the fudge to cool completely in the fridge. Then cut it into decent sized squares (I got 16 out of this recipe), have one or two (someone’s got to test it), and place it in a large ziplock and into the freezer. Out-of-sight out-of-mind may not work with this recipe, but, freezing it does help me to cut down my sneak snacking. If you enjoy this low carb fudge recipe half as much as I do, then you’re going to be stoked, because I’ll tell you what. I. Can’t. Get. Enough! 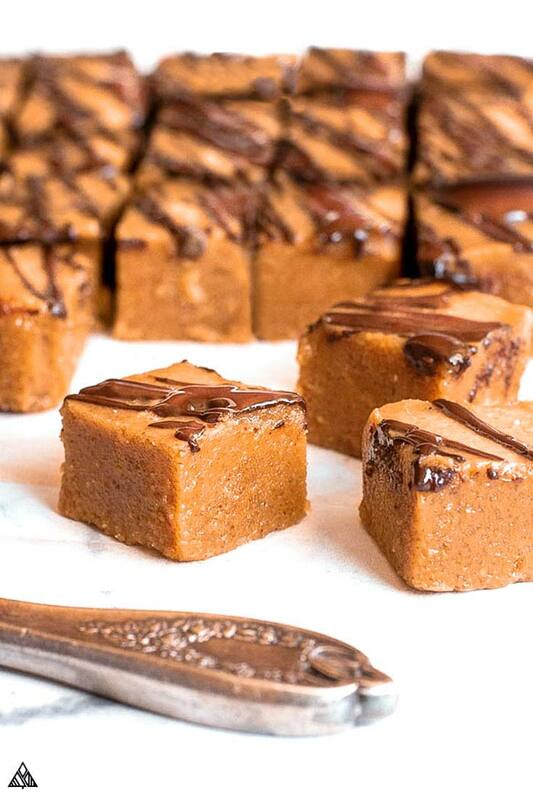 The perfect end to any of your low carb meals, a low carb peanut butter fudge atkins followers would enjoy! Let me know what you think in the comments below, did you add any special toppings? Is this your one of your favorite low carb desserts too? Enjoy! Sorry grandma, there’s a new fudge recipe in town! Low carb peanut butter fudge is the sugar free, perfectly sweet, melt in your mouth dessert you’ve been dreaming of! Add the whipping cream and butter to a medium saucepan. Cook over a low heat until fully melted and combined. Stir in the peanut butter until combined. Remove from heat. Using a whisk stir in sweetener (it’s easiest to stir in 1/4 cup at a time). Pour the mixture into an 8x8" baking dish lined with parchment paper. Let the fudge cool by placing dish into the fridge. 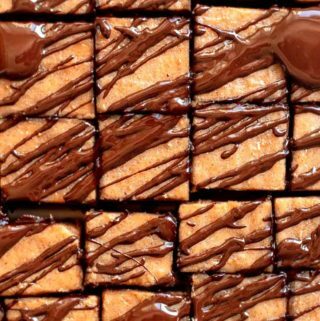 Once set, remove from the fridge and cut into 16 squares. Enjoy! !